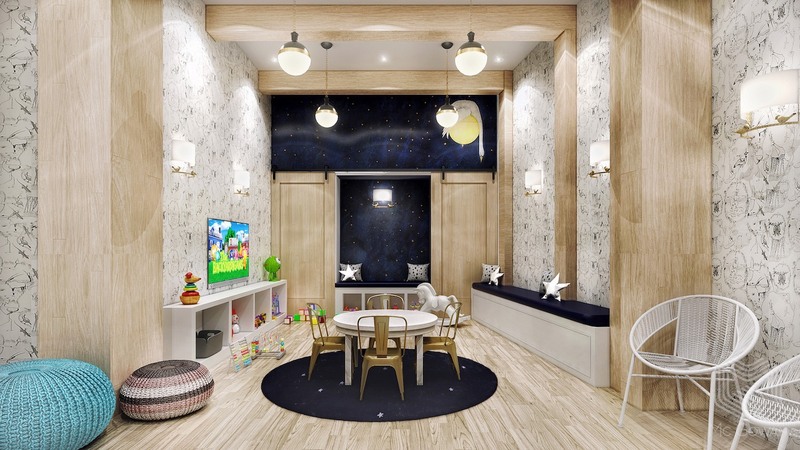 Nestled in the heart of Manhattan's historic Financial District, 63-67 Wall Street combines two historical highrise buildings into a single apartment rental complex offering luxurious amenities. 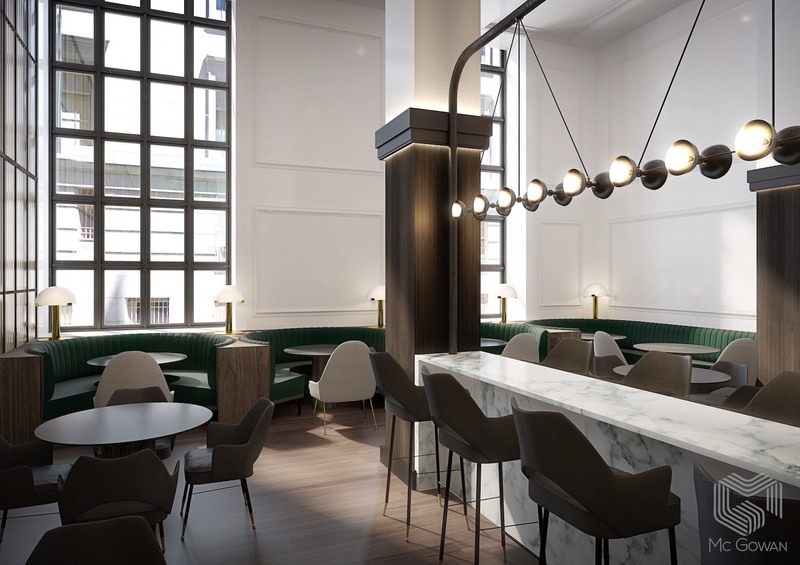 As General Contractor, Mc Gowan upgraded those amenities to the highest standards, including a resident-only speakeasy bar and lounge, golf simulator and 3-story fitness center. Upgrades in the Cellar include a relocated and expanded laundry room, bike storage area, tenant storage areas with lockable units, building storage area, management office and management storage areas, staff lounge and locker rooms, superintendent office and storage areas, as well as new bathrooms. 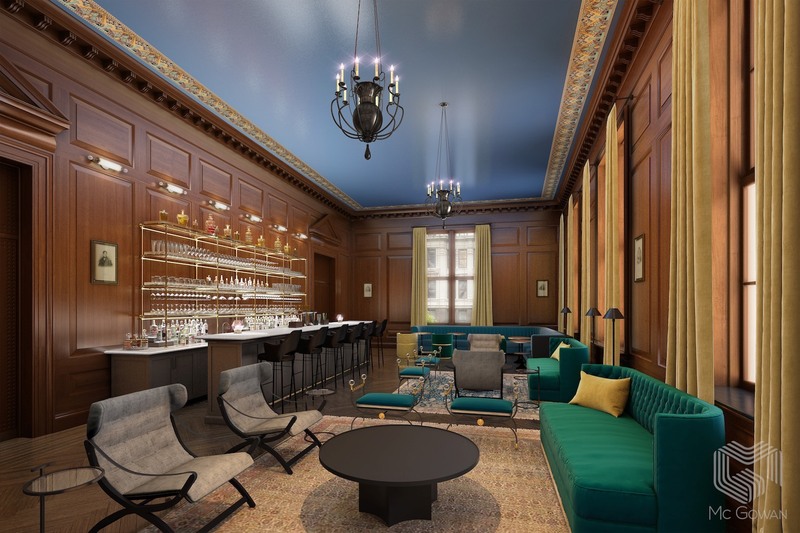 Second floor upgrades of the Great Room showcasing 20’-0” ceilings include a café lounge, a social lounge, a business center with conference rooms and a gaming lounge. 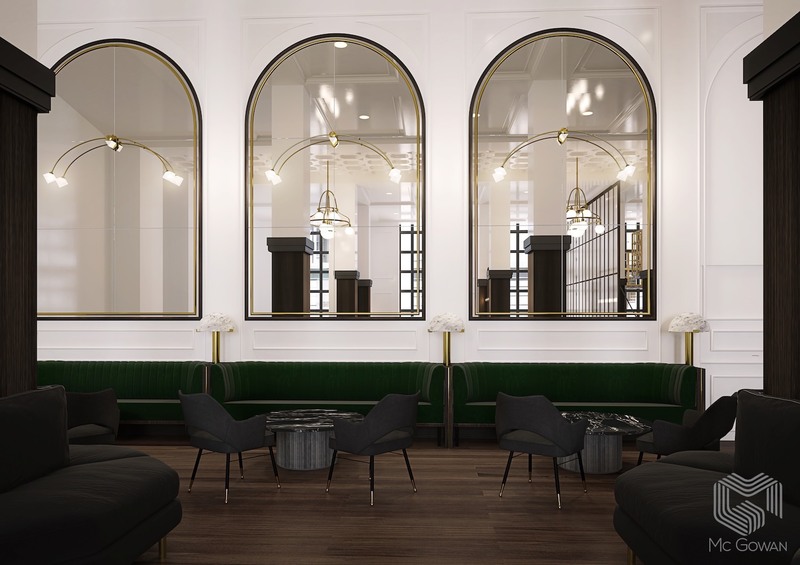 Also on the second floor is a speakeasy-style lounge with a catering pantry and VIP lounge areas for private events, a multipurpose lounge, a golf simulator room, and a kids room. Additional areas include renovations and upgrades to the building's leasing office including management's office, agents' office and a conference room, as well as to the existing fitness center, connecting and expanding the center from the third floor to the second floor with an internal glass and steel stair. 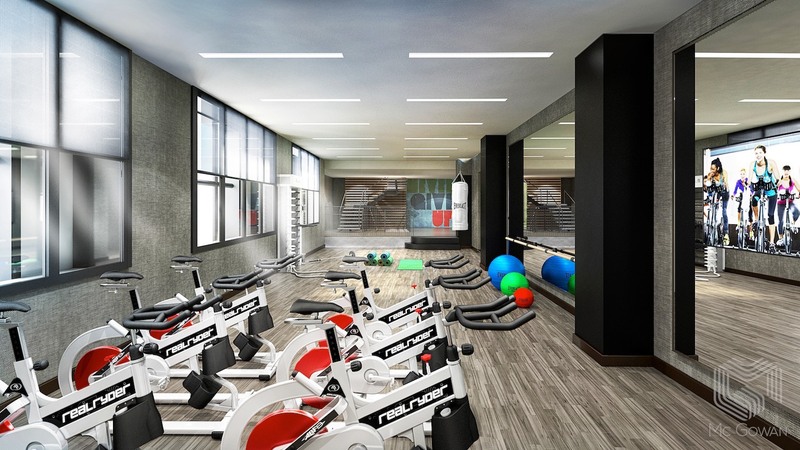 The third floor includes the renovated and expanded fitness center and a new bathroom. All floors include new bathrooms, and upgrades to the core bathrooms, the building elevator lobbies and corridors. © 2019 Mc Gowan, All Rights Reserved. Custom Designed and Programmed by PPweb Technologies.